Most people find buying a home to be exciting and stressful. It’s good to look forward to owning your own property and to have a healthy amount of fear of spending that much money, but letting either one of these emotions overpower you can lead to making mistakes or missing the perfect place. You want to be calm and collected when you’re spending that much money and making that big of a decision. Here are some ideas to help you keep efficient and organized when shopping for a property. Having a long talk with the person you are planning to own a home with will help a lot, and distilling that information into specific criteria is paramount to effectively searching for a house. As an agent, I need to know what your price limit is, the number of bedrooms you are looking for, how much space you expect to have and any other specific needs you might have. No one is born an expert at house hunting, so you’ll have a lot of learning to do, but you don’t want to be looking at million dollar homes if you can’t afford one. Specific needs and wants make sure no time is wasted gathering information about unsuitable properties. You know what you like and what you don’t. Make sure to keep a list of your favourite properties and review that list occasionally. This should only include viable options. And don’t forget, if you’re buying a home with someone else, both of you have to like that home. Otherwise, see tip number two. Anything you don’t like, take it off the list! Don’t waste time ruminating over homes you aren’t a fan of. If something is nagging at you time and again, perhaps it can stay, but if you don’t think the property will work out for you, take it off the list. You can only search for one property at a time. Keep focused and take out what you don’t like. Here’s another list for you! You’ll have some top properties and it’s good to know why they’re at the top. Did you like the layout of the two-storey on the tree-lined street? Did you dislike the countertops in that green bi-level? Were you concerned about the condition of the fence at that property you saw on Saturday morning? Anything that is actually on the list is there for a reason. It’s good to write down what that reason is and to do it when it’s fresh in your mind. This can be very helpful in remembering what you saw (things start to blur after a few outings) and it can help you make a decision when comparing properties to each other. This is going to help you maintain that list of properties that you’ve kept at the top and allow you to eliminate those that you don’t want. Real estate is expensive and you only have so much time and money. Don’t look at homes that won’t work for you. If it needs too much work, doesn’t have what you need or want, or doesn’t fit into the budget, then it’s not going to work. Make the criteria fit these goals and limitations. Wasting time isn’t helpful and seeing things you can’t have – for whatever reason – will just make you sad. Let your agent know what you are looking for, and if that changes, see tip number six! The only way anyone knows what you are thinking is if you tell them. If you have doubts about a certain course of action, it’s best to notify the parties involved. That means telling your partner/spouse/co-buyer and also telling your professionals. You don’t want people getting the wrong idea. If you have changed your mind about a certain type of property, how much your’re willing to spend or shopping for a house in general, make sure you tell everyone who has a stake in the process. Hate bungalows? Don’t want carpet? Want to paint before you move in? Changing your budget from $550,000 to $500,000? Whatever it is, the information needs to get to the right people as soon as the issue arises. This will save you time and confusion and likely a whole lot of stress later on. There you have it. Some quick tips on how to keep things straight throughout the home buying process. As always, if you need a real estate agent, please contact me. I can help put you on track for your next home purchase or sale. 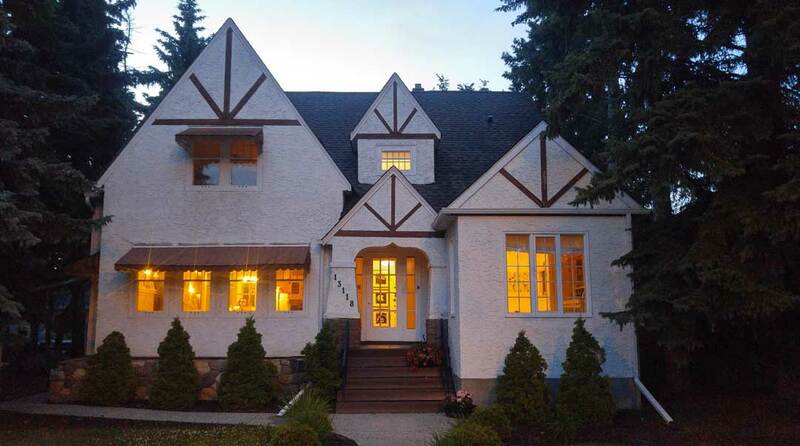 Alan F Macdonald is a real estate agent with Maxwell Challenge Realty in Edmonton, Alberta. I am a real estate agent in Edmonton, Alberta. I think it’s best to show people what you know, which is why I write articles, terms and neighbourhood profiles about Edmonton real estate. I never get tired of explaining the ins and outs of owning property, whether it’s to a first-time buyer, an investor or for a relocation. I believe in focusing on the facts. All my clients have to do is tell me how they feel about those facts and we go from there – it’s quite simple really. The commentary and opinion expressed on gimme-shelter.com is solely that of the author and is for informational purposes only. As all situations are different, you should seek independent professional advice before pursuing any particular course of action. This content does not create a client/associate relationship and does not constitute legal advice. Gimme-shelter.com provides this information in good faith, but gives no warranty nor accepts liability from any incorrect, incomplete or misleading information, or its use for any purpose. It should also be noted that all 'advertisements' or 'sponsored links' are selected by an ad service, and are not affiliated with or specifically recommended by Gimme-shelter.